We announced "how bounties work" a few days ago. Even though this is a very early version without a real interface more than 70 bounties have been created so far. Most of these are rather small, many less than 1 Steem. Still it may be worth your while to check out these posts and see if you can score some of the bounty rewards. We changed the minimum bounty size we will include in this report to 0.1 STEEM or SBD. Let us know if you think this is too low? There have been a few bopunties that have been returned. This is rather odd, since every commenters could just upvote himself at 1% and get all the payout if noone else gets upvoted. For bounty creators: Make sure you point out the bounty opportunity in your post or better yet your headline. That way you will get more attention and your readers know what to do to earn the rewards. Also make sure you upvote the right commentaries! We have had over 100 bounties created so far, of which 13 have been paid out so far including our 300 Steem logo contest. 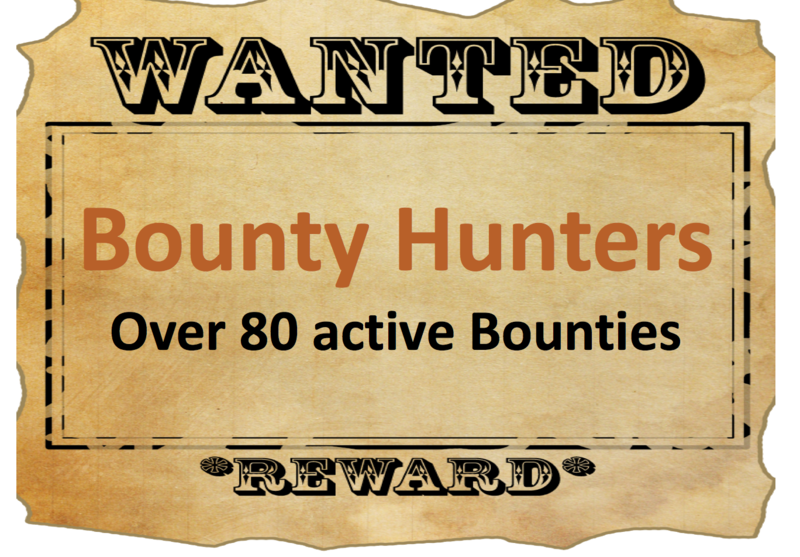 So there are over 80 active bounties at the moment. Check out the list below and maybe you can earn some of the rewards. Again some have been returned in the past so there is certainly an opportunity for bounty hunters to make some extra rewards. Since there is no easy way to search for bounty posts, we will create these lists of bounties on a regular basis, so make sure to follow the @steem-bounty account. Some posters use the "bounty" and "steem-bounty", so you can look for those as well. If you create a post an plan to use a bounty, make sure to add a bounty tag and ideally announce in your post or via the headline that you are providing a bounty. So here is a list of the active bounties and their payouts. Happy bounty hunting. Would be great if you could sort the posts either by expiration time or payouts. it is sorted by time currently. happy to hear suggestions. Anyone has tutorial guide of How to blog on steem? WARNING - The message you received from @sokolova is a CONFIRMED SCAM! Such a great initiative and a way for minnows to gain traction on their posts with incentives to, not only, view, but also interact. yes that is what we are trying to accomplish. A side economy that allows everyone to benefit even without holding SP. Le me know what is unclear? When will you announce the winner of logo Competition? Hi, @knircky. I Translate the post of Steem Bounty into Spanish https://steemit.com/spanish/@jmhb85/novedosa-aplicacion-de-recompensas-steem-bounty . But I'm not satisfied with the distribution of rewards, the winner does not follow me, she did not vote for my publication, she just commented and requested to enter her active publication at that time. It has disappointed me a little because you contributed 10 STEEM from which I did not earn 0.001 :( Can you recommend me how to win in my next publication as an author? steem-bounty is great community and it is great think.I like steem-bounty.I always support this work.Thanks. still not 100% sure why you would put a bounty on your blog ? I guess for (real) comments? Interaction and such ? Giving back..? The Tree of Life, or Etz haChayim (עץ החיים) has upvoted you with divine emanations of Gods creation itself ex nihilo. We reveal Light by transforming our Desire to Receive for Ourselves to a Desire to Receive for Others. I am one of the 10 attributes/emanations part of the Curator Guild (Sephiroth), through which Ein Sof (The Infinite) reveals Itself. The idea was more that if you have a specific ask for your users. I.e. if you run a contest like when we asked for a logo, or you have a general question you are looking for an answer for. But it could be simple enough to want to know the opinion of your readers and giving them an incentive to share it. If a writer upvotes 4 replies in order of ( 100%, 50%, 30% 20% age), (in the case that this writer set 200$ bountry) the bountry is contributed like 100$, 50$,30$, 20$ to each reply right? (this writer does distribute the bountry by more than 100%) I mean, it is not like (20% 30% 50%). And a bountry taker is decided by the creator when the creator upvotes. Then the reason why there is 20% influence of other people is because sometimes a creator doesn't upvote any reply. right? What is the BEST and EASIEST way of earning much in a day? I really like this !! I have questions. Then can a writer choose 2 bountry takers? And what happens if a writer upvotes more than one reply without managing % age? If a writer(who has 100sp) upvotes one reply(which got 1$ from other people) with 100% age , and upvotes another reply( which got 50$ from other people) with 80% age. which reply wins? This writer set 3$of bountry on his/her post. So everyone that gets any vote tends to get a piece of the bounty. But most of the rewards (80%) are determined by the bounty creator (the account that send the funds to @steem-bounty). So if you are the bounty creator and you want to give 10 people equal amounts of the bounty reward, just upvote them fully. But you can also give some more or less by changing the %-age slider correspondingly. You have a %-slider if you have a a decent amount of SP (else you always vote 100%). I think u get the slider once you have 400SP, so you may have not seen it yet. Then you mean more than one reply can get bountry. right? and if a writer upvotes 4 replies in order of ( 100%, 50%, 30% 20% age), (in the case that this writer set 200$ bountry) the bountry is contributed like 100$, 50$,30$, 20$ to each reply right? In other words, a bountry taker is decided by only creator. right? then reason why there is 20% influence of other people is because sometimes a creator doesn't upvote any reply. right? Check out this bounty where 300 steem was distributed among many people. But as creator i upvoted the winner with 80% and two others with 10%. This way the bulk went to the winner but many people got some reward. Yes and also to keep everyone interested and to make it a counity thing. 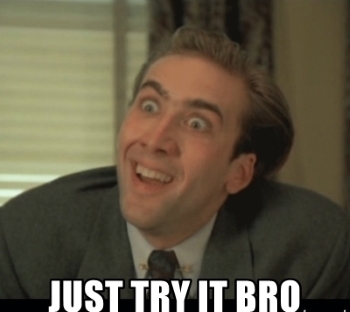 If a writer upvotes a reply with 100 %age and another reply with 50% ( there is 30 steems bountry), the former gets 20 steems bountry and the latter gets 10 steems bountry. right? Yes you are getting it. But keep in mind that the community votes with voting power (rshares) and the bounty creator votes with a %-age slider. This is to give the creator and easy way to distribute most of the bounty and avoid abuse by the community. You got a 24.31% upvote from @postpromoter courtesy of @steem-bounty! Yes thats roughly how it works. The 20% community part is also so that everyone has a stake and its a collaborative process.